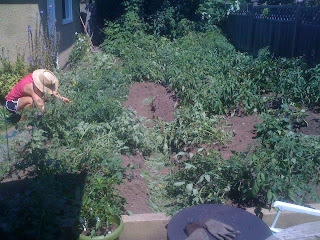 Last year, we had a tomato fiasco. It hurt. 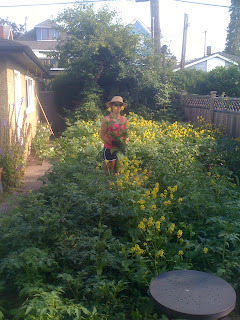 We were pretty enthusiastic and had about 15-20 varieties going all at once, in one yard. Then, collapse. Disease spread early and quick and wiped them all out. But quick as knives in a fork shop, we did some reflecting over the winter and switched up our strategies. Now we have fewer varieties in more yards. 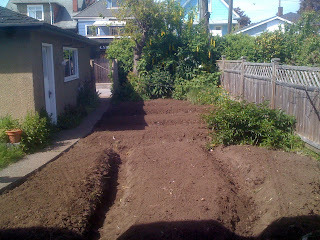 The following pics are from one of our sites in the Sunset neighbourhood. It's a little oven of a backyard and gets full sun, beauty soil too. 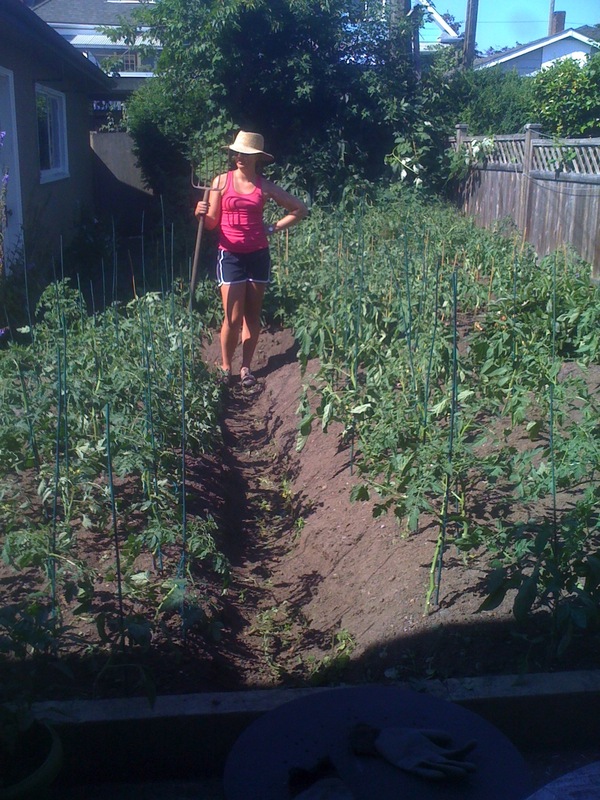 We're putting our hearts on the line again this year for some sun-kissed tomatoes! Inshallah. Idle hands are bad news, so weeds must be good news.